Kobe Bryant may be one of the youngest basketball players in the NBA, but no one would dare call him inexperienced. The son of Joe "Jellybean" Bryant, a former NBA player and star of various European teams, Kobe spent his childhood watching professional basketball. From the moment he could pick up a ball, he was learning to dribble and shoot. His basketball education was unique - a combination of lessons on basic fundamentals, one-on-one games against his dad, and keen observation and analysis of the world's best players. Kobe learned his lessons well, and at age eighteen was given the chance to prove it when he was drafted into the NBA. Fresh out of high school, Kobe showed that he had the talent and the heart to make it in the pros. 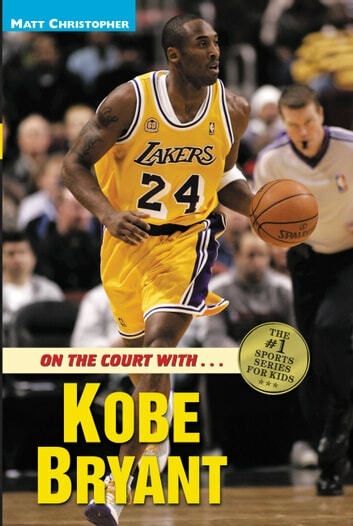 This exciting biography traces Bryant's life from childhood to his part in the Lakers' 2000 NBA championship. For more information on the Matt Christopher Sports Bio Bookshelf, please turn to the last pages of this book.